Love the flowers and especially the sentiment! Lovely cards creations. Thank you for the great ideas. First card is my favorite, being a coral person. All of your work is lovely. Wow, what great cards! Such an inspiration. Thanks for sharing. So simple but oh so elegant. Thanks for sharing such amazing cards. I am crazy about flowers, so I love your beautiful floral cards. Great designs! I love them all! Such beautiful flowers!! Pretty floral cards. I like the stripes on the first, the background on the second and the simplicity of the third. Your Sweet Rose Bouquet card is so lovely. Your colors really pop with the addition of the striped corner. So beautiful & elegant. The backgrounds in all the cards is just perfect.Thank you for sharing . These are all gorgeous, Laurie! I especially love the angle on that first one! Focus on you card is clean, classy and beautiful! Must stop myself from overdoing these. Three lovely cards, Laurie! I love them all, but the last one is so simple, but oh, so beautiful. Wow... what a diverse set of cards using the new release products, each card beautiful and showing different design styles and techniques. TFS your inspiration!! Beautiful cards. Thanks for showcasing this wonderful new release. Beautiful cards! I love the sentiments and the great designs. Thanks for the inspiration! Love all these cards. Love your peach roses. Love all these great flower sets. Great inspiration! Simply gorgeous!! Especially love the first card with the Warm and Cozy colors! So pretty, love the touch of pink on the bottom of the one card. Ooo...I love them all! Glorious white space is always a win, but I can’t stop thinking about your first card. Looove it! Beautiful cards, really love the colors with the black and white of the first one. Beautiful cards. I especially like the card with the black and white striped paper. That is the style that I am really drawn to. Thank you so much. I agree, Altenew layering stamps are awesome! Your cards are beautiful. So simple but perfect. Thank you for the inspiration. Altenew's layered flowers are just gorgeous!! I love the look with the black stripes! Beautiful job. Your cards are gorgeous! Ack! I am loving that cover plate by Altenew! And that set of Warm & Cozy inks are just stunning on your first card. Beautiful! Such pretty cards! These new florals are terrific. Beautiful Cards! Especially the orange flowers with the stripes. Absolutely lovely cards Laurie. I especially like the first one but they truly are ALL simply lovely! Love the warm and cozy inks that you paired with the stripes. Beautiful cards! I luv the new release. Great examples. Thanks for sharing . I love your cards! Clean, simple & elegant! Gorgeous cards! Love the orange roses with the stripes. So stunning. The hope bloom is gorgeous and I love the clean and simple card. So pretty, wonderful job. WOW! What an amazing release! I absolutely love the floral stamps - especially the sweet rose bouquet - and I love to stitch on cards, so I can't wait to get the cross stitch die. Love the colours on your card. Thanks for all the inspiration! Gorgeous cards with a lot of details. Just lovely. Their flowers are just stunning! Beautiful cards! So pretty. Especially love the hope stamp set. Your cards are beautiful ! I love the flowers, these stamps are really awesome. Beautiful cards... love the first card with the stripes. Love love the orange flowers!! Fabulous cards!! Really love this release!! I love both cards. What beautiful orange tones used for your flowers, and the stripes with those colours! Gorgeous! Your cards are beautiful! Altenew did it again! 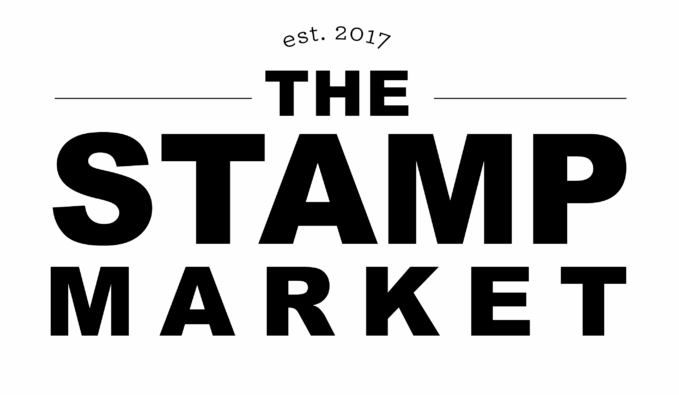 Gorgeous stamps! I knew I would like the stamps but that doodled dots die is now a must have too!!! Love your beautiful floral cards! What fabulous cards..love your clean look. Such pretty cards! I quite like the way you angled the black & white striped paper on the top of the first card. Wonderful cards -- in particular I like the colour combination of the first. What can I say...absolutely beautiful each one. Beautiful cards but my favorite is the first one. Loved the cards!! Great inspiration!! I LOVE your cards, especially the first one. I love the black strips with the beautiful flowers! Altenew does have the best layering stamps. I love what you did with the stripes. Love the b&w paper with those stunning roses, beautuful cards. love the B & w stripes with those peachy flowers, the doodled dot background with that flower is so lovely, and the last card is CAS perfection!! Gorgeous cards! Love them all especially the last one!! Love all your cards!! Altenew is the best in layering flowers! I really am enjoying the inspiration from this release! Laurie, your cards are simply beautiful! I LOVE the orange card-so my favorite!! Your cards are all stunning!! So beautiful! I love them all! Altenew really knows how to do florals! Such beautiful cards! Glad to see the orange roses because I have the Warm and Cozy ink set. Yea! simple but elegant the focus on you card. Love your CAS card, but all are gorgeous! I am particularly taken by the beautiful Hope card but I think I love the subtlety of the “old friends“ card even better! Wonderful cards this time! Thank you for sharing them! Your prayer card is stunning....love the colors! Laurie these cards are so very beautiful!!! I love your clever use of white space!!! Gorgeous designs! Love the Sweet Rose Bouquet set - I'm not really a huge fan or orange, but you made this card look GORGEOUS. Just beautiful! I really like your clean and simple card. It's so pretty! My favorite is your first card with the beautiful peach-colored flowers, love the striped black and white dsp. Such a stunning card!!! Wonderful stamp/matching die set. Am in love with your beautiful flower cards!! The Doodled Dot Cover die seems to steal the show!! It really makes a perfect backdrop for the gorgeous flowers! 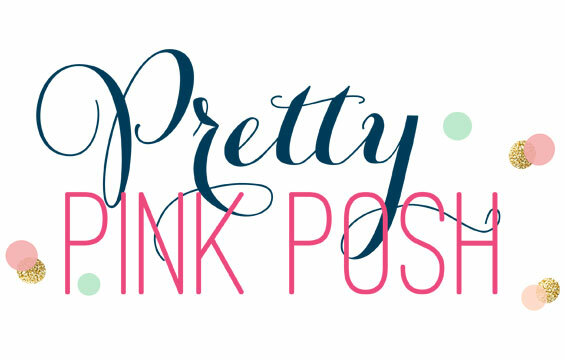 Am in awe of yours and the other DT's talent on this fabulous blog hop!It is making me want EVERYTHING!! Beautiful cards! The orange and peach flowers with the black and white paper is stunning! Thanks for all the wonderful inspiration. Gorgeous cards! Love all of these beautiful flowers! I love all the cards you came up with Laurie. I like the sweet rose stamp set and the doodle die background. Gorgeous cards and sentiments. I loved the card made with Warm and Cozy stamp pads. The colors are terrific. That Doodle Die background is really beautiful with your floral image! Beautiful cards... I like CAS cards, too, but yours are stunning! Thanks for sharing. Loving the CAS look and the orange with black/white stripes is gorgeous! Love the cards. My favorite is the last one. So simple and so elegant! They're ALL GORGEOUS, especially your STUNNING prayers card, a DELIGHT to the eyes and heart! Amazing Doodle Die for the background. These three cards are so lovely. Love what you've done with the new new release. Oh, these are all so beautiful and inspiring, Laurie! fun and inspiring cards. can't get enough of the roses thanks as always for sharing. All your samples are BEAUTIFUL! But my favourite is the Sweet Rose bouquet. Such a wonderful release - I need it all! Thank you for the chance to win something. I love your Hope card. Just beautiful! Beautiful cards! I love the Old Friends one....simple and powerful! Lovely! I love the extra touches (black and white, touch of ink blending) but also the very clean look of the last one! I love Altenew florals, and even these simpler stems are wonderful. In fact, this time around, I think I like them best. Thanks for some lovely examples. All of your cards are gorgeous but the first one done in orange is my fav. Gorgeous cards! The first one is my favorite, just beautiful! Love all the colors you chose for your cards.. So much inspiration thank you for sharing your beautiful creations. 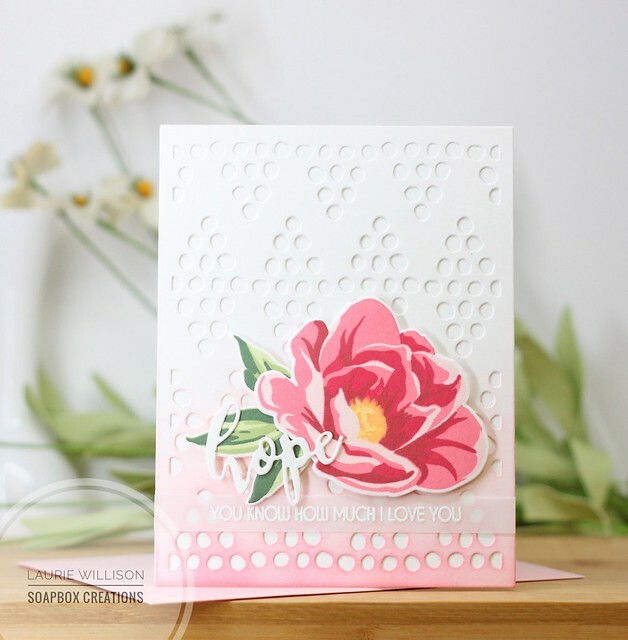 I am just loving all of the new release but Sweet Rose Bouquet Stamp & Die set is my favorite and Doodled Dot Covered Die and Hope Stamp & Die set and all of them. Your cards are all so pretty - thanks for sharing them! I love Altenew's floral layered stamps! Gorgeous cards! I especially love the first one with the orange roses and the corner with black and white stripes! I really love your cards. These are simply gorgeous, especially the rose bouquet card. The colors just pop and I agree Altenew has wonderful layering stamps. Love all these great flower sets. So nice to have just the right sympathy sentiments too. I fell in love with the roses stamp/die set right away, and already ordered it.....but now I want the big hope blossom!! Thank you, Miss Enabler----LOL! your first card with the orange roses is so beautiful!!! 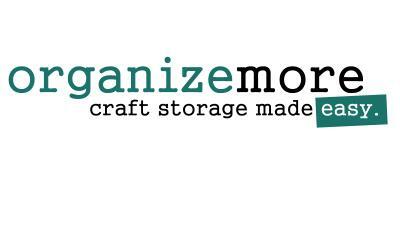 Thanks you for sharing your creations with us! Wow your orange, peach card it just STUNNING!!! Love your beautiful flowers. Awesome coloring. These are all gorgeous Laurie, the first is my favorite!! Your cards are so elegant...loved them!! Your cards with this new release are just fabulous. Thanks for the fantastic ideas. That first card is simply stunning! 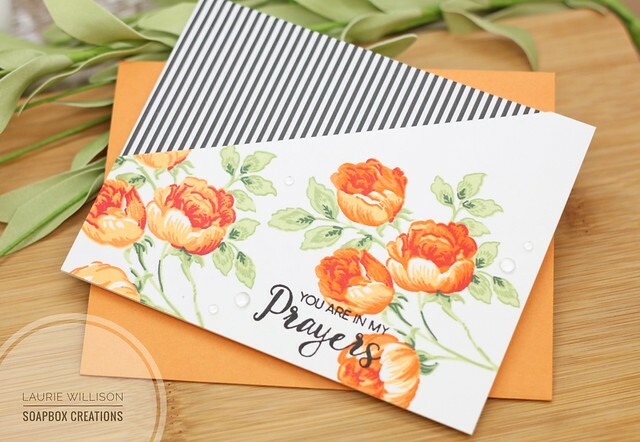 I am in love with the Sweet Rose Bouquet stamp set--I love your card with the orange blossoms and striped paper! Gorgeous. I love the colour scheme on your roses card. I LOVE your colors on that first card. Stunning. These are beautiful! Altenew does flowers so well! My favorite is the first one. I love the flowers in orange and the graphic addition of the black and white stripe! Gorgeous cards, I especially love the lovely flowers with the diagonal black & white top panel! I adore your cards! That hope card is stunning - love that background! Love these, but that CAS just got me. Beautiful card and great sentiment. Love the stamp sets on your cards. Your cards are so elegant. Love them! Love,love, love this new release. Your cards are lovely thank you for the inspiration. I love each and every one of these cards!!! Gorgeous cards! You so beautifully and elegantly highlighted the new products. Your cards are absolutely gorgeous...those layering flowers are so real looking! And, I really love your CAS card! Thanks for reminding me how stunning a simple card can be! love Altenew's stamp layering cards and yours is a beauty. thanks as always for sharing. Love that doodled background. That's has to go in my cart :) Lovely card designs! Beautiful cards! I especially like the first card — the layer flowers were gorgeous with the striped paper accent. Beautiful cards and a fabulous release! Absolutely GORGEOUS cards, Laurie! I think your CAS card is my fave, but I really do love them all! Beautiful cards, I especially like the first one. Very beautiful stunning cards you've shown us, loving all the shades you've used, the new background die with the dots is fabulous. Your cards are all gorgeous!!! I love the colours you used for the roses on your first card and I think they looks amazing with the grey stripes. Laurie, I really enjoyed what you made. The orange flowers are a beautiful touch! Love the color combinations on your first card! The other CAS cards are lovely as well. Beautiful cards! Love all the layers and colorful flowers. 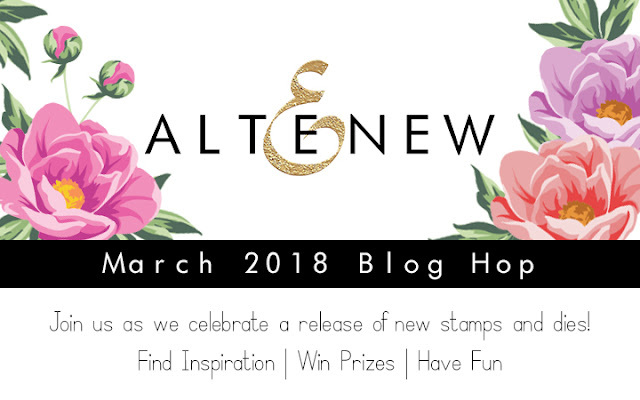 I, too, love Altenew's layering stamps, and the Hope set is gorgeous. Beautiful projects. Love Love Love, The new rose set is amazing, I love the color you used with it! Beautiful designs Laurie! Thanks for sharing! So much fun, I love all your cards! your cards are very stunning and creative! the first one of the 3 is my most favorite!! thanks for sharing!! 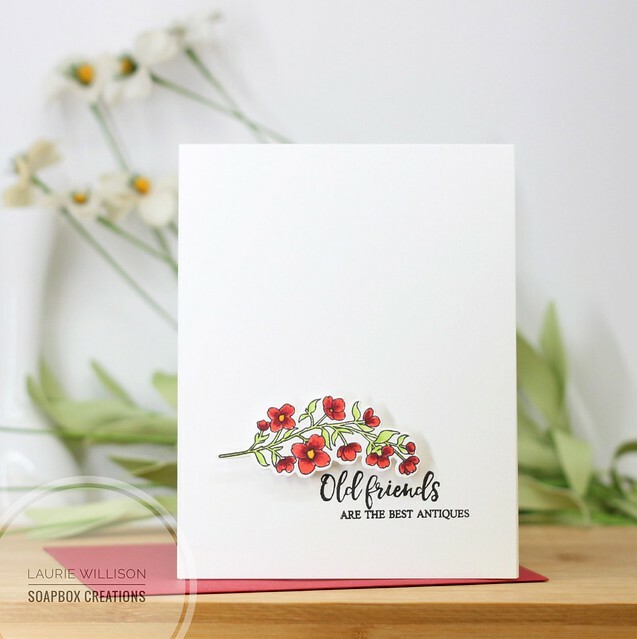 Your cards are beautiful and the florals and sentiments pack such a punch because of the CAS design. Love the vellum strip wrapped around for the elegant looking embossed sentiment. Thanks for sharing. I'm not usually one for oranges, but I'm really falling in love with Altenew's warm and cozy ink set. Those oranges and greens just look really nice against each other in way that I don't often see. I love all the different looks you created with these products from the very CAS at the end to the play against the patterned paper to the gradient. It's all just lovely. Thank you for sharing with us! Beautiful cards! I love the colour of the flowers in the first card with the little bit of black and white stripes in the background. I too love the layering dies! My fave with this release is the Sweet Roses set. Love your cards. Thanks for sharing and a chance to win! These look great! The bright colors of the second card really pop on that base and I love that ombre look on the other. Beautiful cards! Love the black and white striped paper with the Sweet Rose Bouquet stamps. I love the peach and black combo on the first card! Sharp! Beautiful cards - I love the peach colours of the flowers on the first card! Wow, what beautiful cards. I love the soft coloring effect on the first card. So pretty. Love the prayer card. Wow! what a Gorgeous Cards! I love how they are so simple and elegant and I love the soft colors. Thanks for the inspiration.